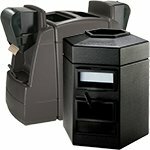 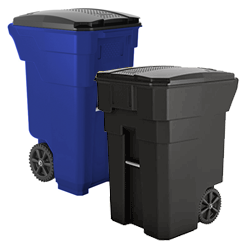 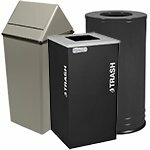 A wide selection of decorative indoor trash containers, garbage bins and waste cans are on-sale now at Trashcans Warehouse. 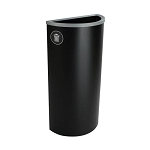 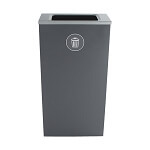 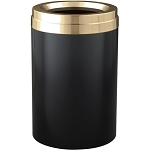 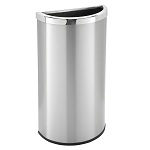 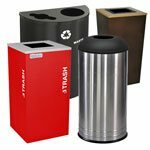 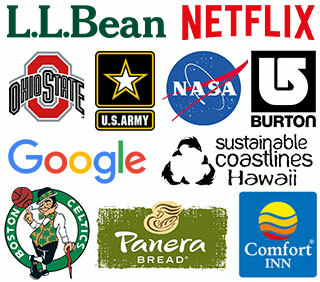 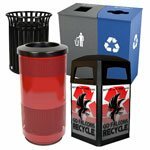 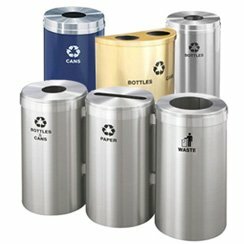 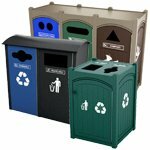 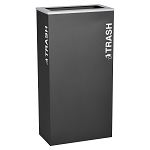 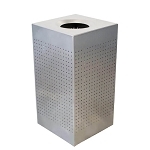 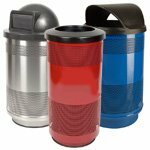 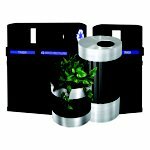 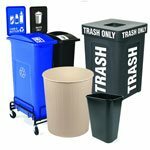 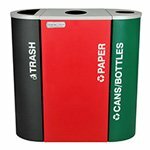 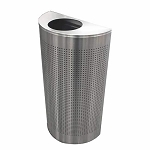 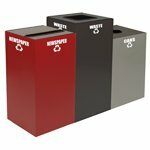 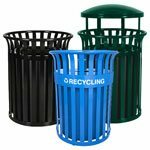 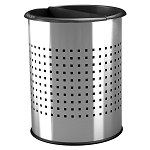 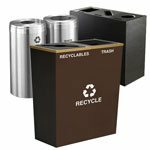 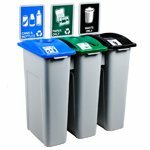 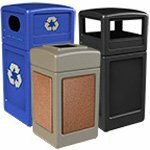 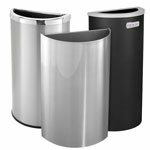 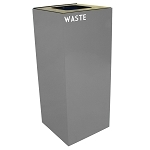 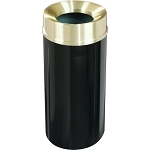 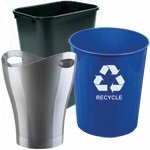 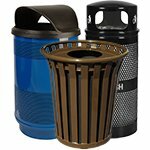 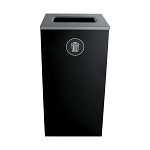 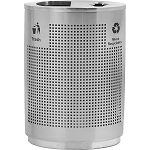 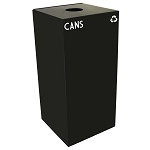 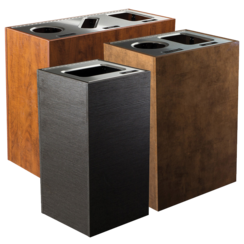 We carry decorative trash cans in a variety of shapes, colors and finishes to complement the decor of any facility, including hotels, restaurants, retail stores, office buildings, lobby areas, waiting rooms and more. 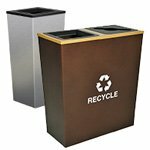 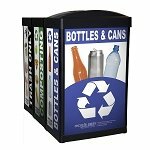 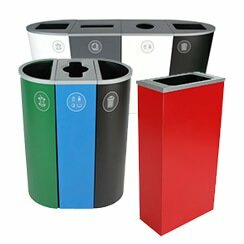 Our decorative recycling bins help the environment and look good. 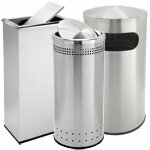 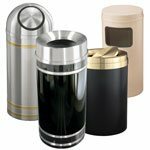 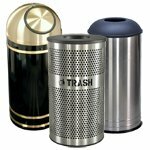 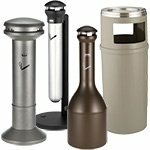 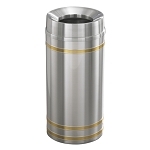 From elegant half-round satin aluminum canisters to classic self-closing dome-top barrels, you're sure to find the perfect decorative metal trash can or recycling bin at an unbeatable price. 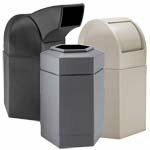 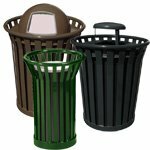 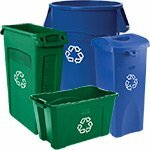 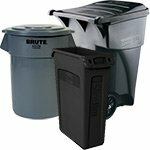 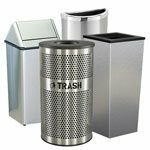 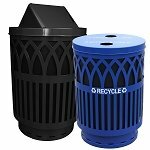 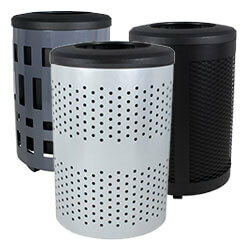 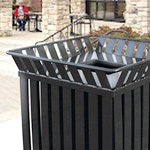 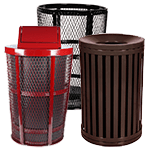 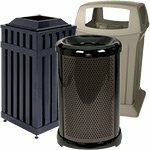 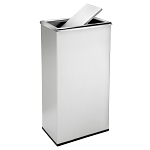 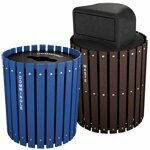 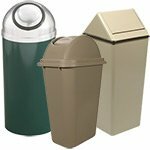 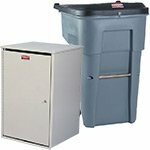 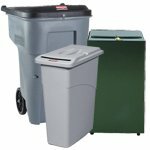 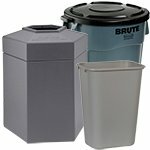 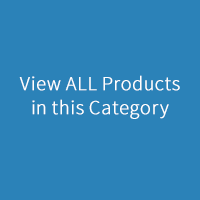 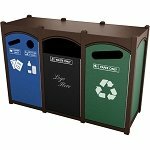 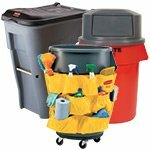 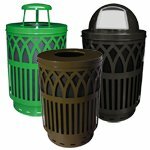 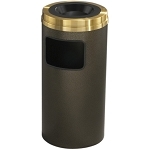 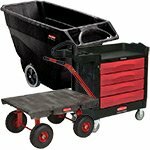 Need assistance with selecting the right decorative garbage cans? 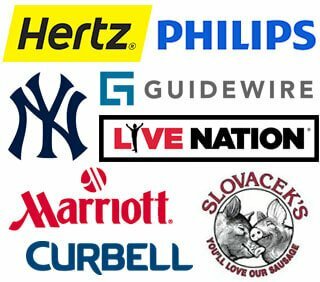 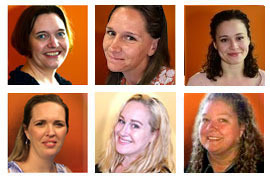 Our outstanding Customer Service team is here to help. 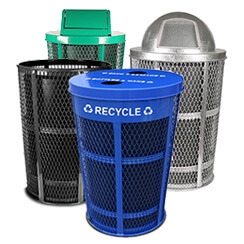 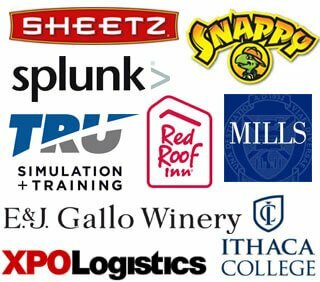 Give us a call at 866-359-8594 or Request a Quote online and we'll reach out to you.